Hall of Fame jockeys Pat Day, Jacinto Vasquez and Walter Blum, along with recently retired rider Ramon Dominguez and Kentucky Derby-winning jockey Mike Manganello, will be among the attendees March 29 during racing at Tampa Bay Downs for the inaugural Jockeys and Jeans fundraiser under the big tent in the Backyard Picnic Area. Jockeys and Jeans is open to the public. Tickets for the casual-wear event are $35, with proceeds benefiting the Permanently Disabled Jockeys Fund, a 501(c)(3) organization that provides financial assistance to about 60 former jockeys who have suffered catastrophic on-track injuries. The long-term objective of the PDJF is to create an endowment that will enable the fund to be self-sufficient. Dominguez, who suffered a career-ending traumatic brain injury in a spill at Aqueduct in January of 2013, will be the featured speaker. A general autograph session will begin at 2:30 p.m. on the first floor of the grandstand. The 37-year-old Dominguez has become an unpaid advocate for the work done by the PDJF on behalf of disabled riders. He was forced to retire last year as a result of injuries incurred when his mount clipped heels with another horse, unseating the jockey, who was kicked by a trailing horse. Dominguez was hospitalized three weeks before being released. He retired with 4,985 victories and $191,615,698 in purse money won. 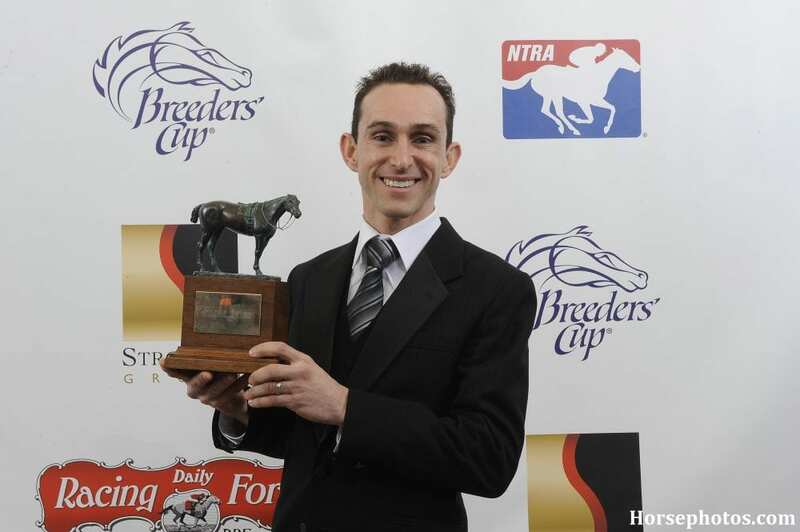 He won Eclipse Awards as Outstanding Jockey in 2010, 2011 and 2012. Dominguez's situation has raised awareness within the Thoroughbred industry of the long-term effects of concussions and head injuries on jockeys years after they have retired from the saddle. Fans attending Jockeys and Jeans will have the opportunity to take photos with the jockeys, enjoy a barbecue luncheon and beverages and bid on unique racing memorabilia. Everyone will receive an autographed commemorative poster and there will be a cash bar. The gates will open at 11 a.m. and the first race is at 12:25 p.m. This entry was posted in People and tagged Diane Crump, Florida horse racing, Horse Racing, jacinto vasquez, Jockeys and Jeans, pat day, pdjf, permanently disabled jockeys fund, ramon dominguez, tampa bay downs, thoroughbred racing by Press Release. Bookmark the permalink.